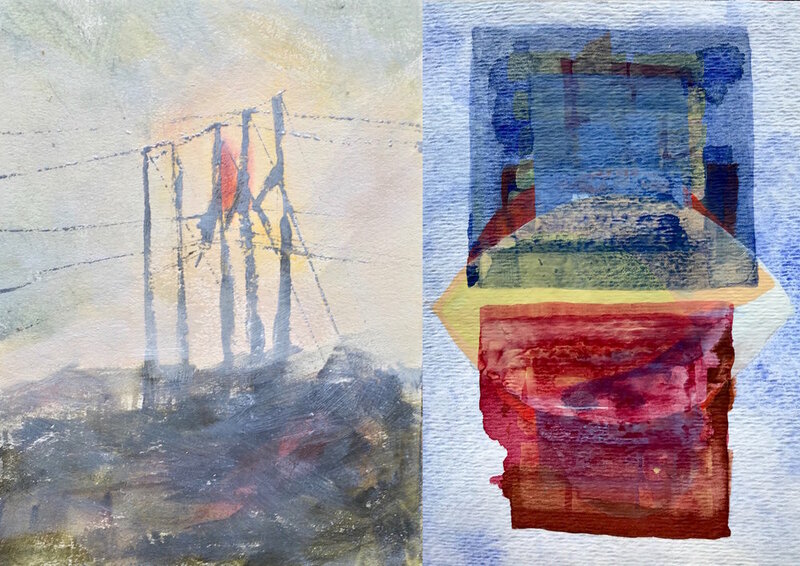 Through abstract and loose representation, Audrey Bialke and Lizzie Reid will be exhibiting works on paper that are both meditative and energized. These works have emerged from places of tension and the fear of an unrecognizable world. Regarding the advancement of climate change and the human relationship with the environment, we are responding with a resilient optimism. Audrey Bialke is a painter from Trumansburg, NY, living and working in Buffalo, NY. She received a BA in Painting & Drawing from SUNY Fredonia. Lizzie Reid is an interdisciplinary artist from Holley, NY, living and working in Buffalo, NY. She received a BFA in Sculpture from SUNY Fredonia.